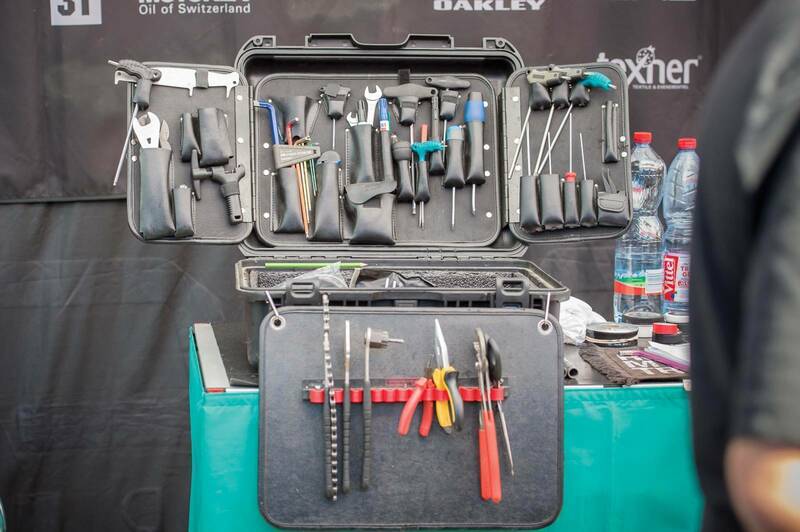 What's it take to be a mechanic on the road. 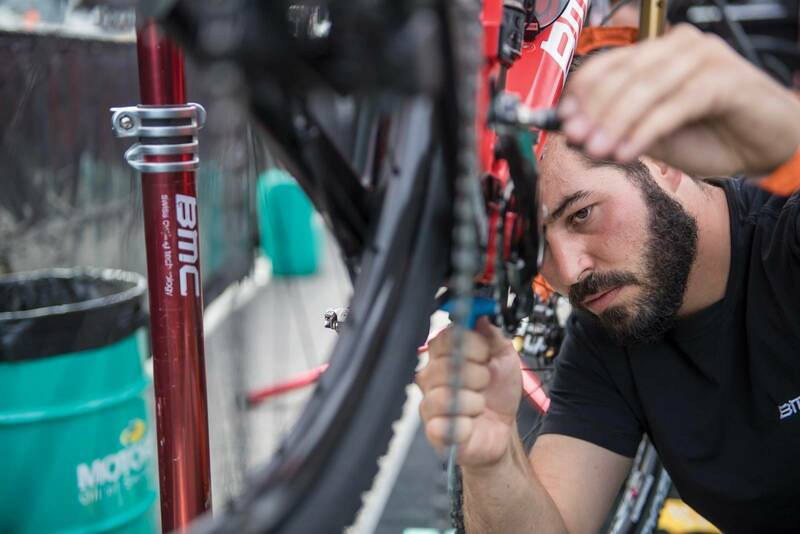 We spoke to BMC mechanic Benoît di Natale about how they set up at races when supporting their team, and how they take their workshop on the road. 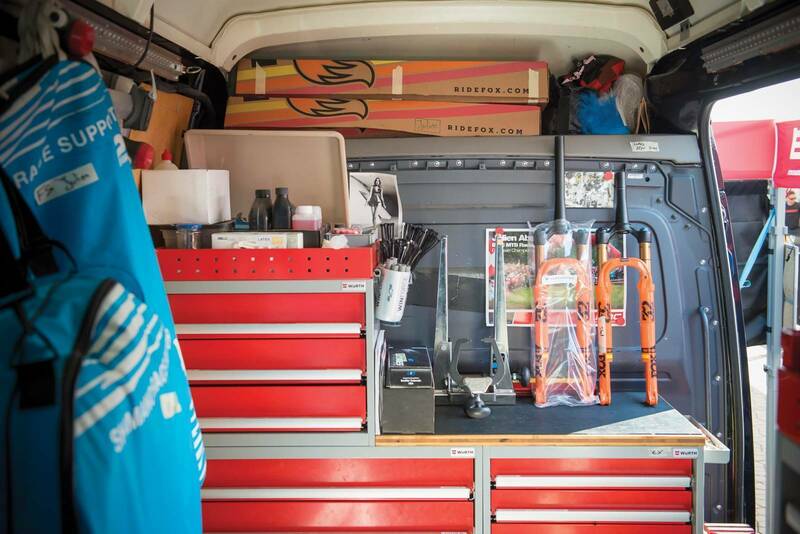 “We have everything in the bus, so when we arrive at the race location we build it up. 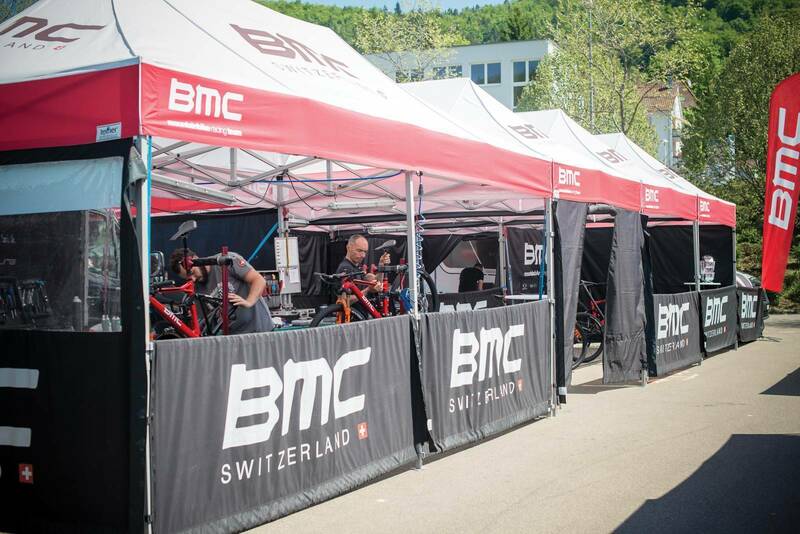 We have the tents and a campervan, and try to make a nice place to work, but also a nice place for the riders after their training. We also all eat here so if it’s a nice place it’s better when we’re all together,” he says. 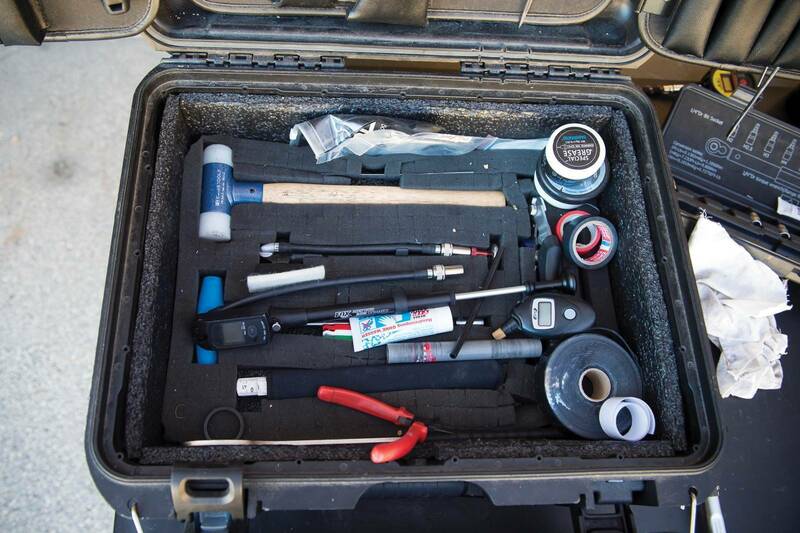 Even if they are travelling long distances, the mechanics take everything with them. 01. 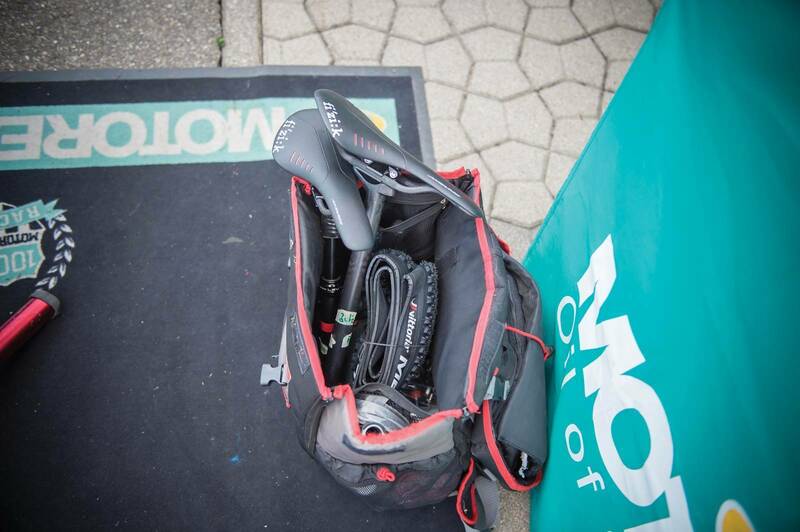 Clean your bike quite often – you can see if something is broken. 02. 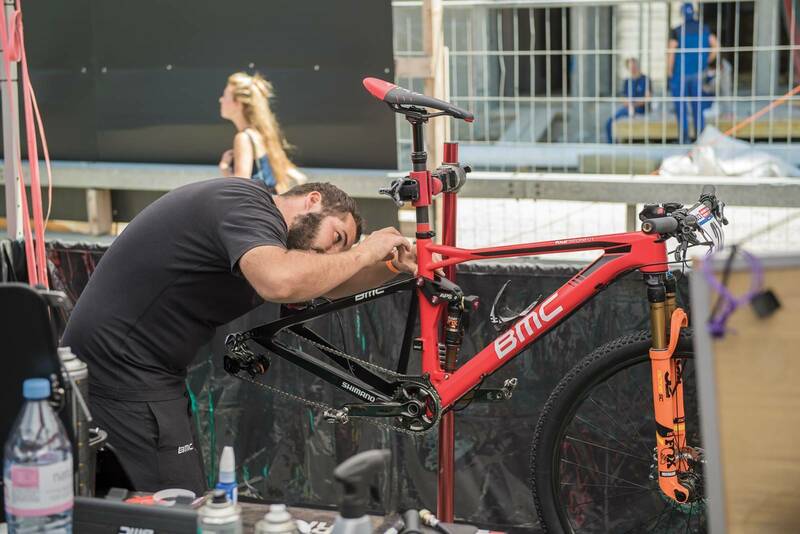 Lubricate the chain and drivetrain parts. 03. Check the bolts frequently, they can loosen with vibrations. 04. Always use a torque wrench. 05. Use carbon paste on carbon parts.